Altura Mining Limited (ASX:AJM) (OTCMKTS:ALTAF) is pleased to advise that Mining Leases M45/1230 and M45/1231 have recently been granted by the Western Australian Department of Mines and Petroleum (DMP) for Altura&apos;s 100% owned Pilgangoora Lithium Project. 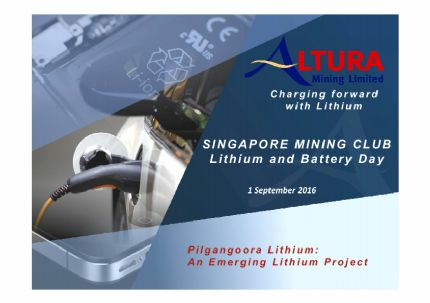 Altura Mining Ltd (ASX:AJM) (OTCMKTS:ALTAF) are pleased to provide the Company&apos;s latest Presentation at the Singapore Mining Club - Lithium & Battery Day, 1 September 2016. Altura Mining Limited (ASX:AJM) (OTCMKTS:ALTAF) is pleased to advise that boutique financial services firm Beer & Co has released an updated research report on the Company titled "Co-operation Raises Valuation - Resources Near Boundary No Longer Sterilised." 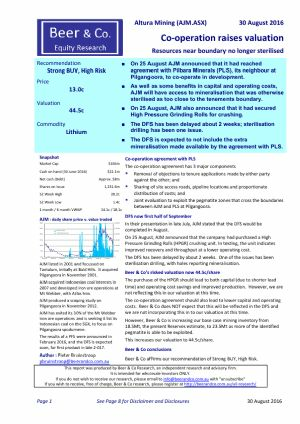 Altura Mining Limited (ASX:AJM) (OTCMKTS:ALTAF) is pleased to advise that it has executed both a mutual Access Agreement and a Memorandum of Understanding (MoU) to cooperate at tenement boundaries with adjoining Pilgangoora lithium project developer Pilbara Minerals Limited (ASX:PLS). Altura Mining Limited (ASX:AJM) (OTCMKTS:ALTAF) is pleased to provide the following update on its 100% owned Pilgangoora Lithium Project located in the Pilbara region of Western Australia. The Company has been pursuing opportunities to ensure the project is expedited in order to enter the realm of lithium oxide (spodumene) producers during Q4 2017. Altura Mining Limited (ASX:AJM) (OTCMKTS:ALTAF) is pleased to advise that boutique financial services firm Beer & Co has released an updated research report on the Company titled "DFS August 2016, First Product October 2017." 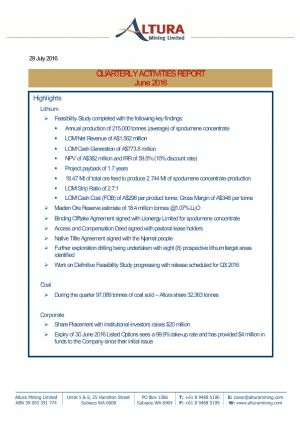 Altura Mining Limited (ASX:AJM) (OTCMKTS:ALTAF) provide the Quarterly Activities Report for the period ending June 2016 with the following significant highlights. 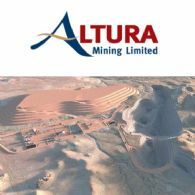 Altura Mining Limited (ASX:AJM) (OTCMKTS:ALTAF) is pleased to advise that it has completed its Share Purchase Plan (SPP) capital raising announced on 9 June 2016. 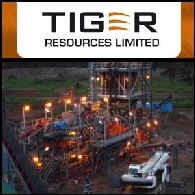 Altura Mining Limited (ASX:AJM) (OTCMKTS:ALTAF) is pleased to advise that it has agreed to terms and executed the Native Title Agreement with the Njamal people, the traditional owners of the land at Altura&apos;s 100% owned Pilgangoora Lithium Project located in the Pilbara region of Western Australia. Altura Mining Limited (ASX:AJM) (OTCMKTS:ALTAF) is pleased to advise that further to the ASX announcement on 9 June 2016, settlement of the A$20 million Placement with institutional investors has now taken place. 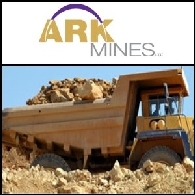 Altura Mining Ltd (ASX:AJM) (Altura or the Company) invites eligible shareholders to participate in a share purchase plan (SPP), to subscribe for ordinary fully paid shares (Shares) in the Company on the Terms and Conditions enclosed with this document to acquire Shares at a price of A$0.20 per Share (Offer). 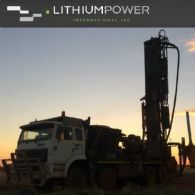 Altura Mining Ltd (ASX:AJM) has attained several key commercial milestones at Pilgangoora placing it ahead of its peers in the Lithium sector and on track to deliver on its strategy of being a near term, low cost, low capex exposure to Lithium. 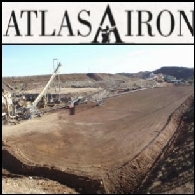 Altura Mining Limited (ASX:AJM) ("Altura" or the "Company") is pleased to announce that it is undertaking a capital raising to raise approximately $23 million before issue costs. Altura Mining Limited (ASX:AJM) is pleased to advise that leading global independent, full-service financial services firm Canaccord Genuity has initiated coverage on the Company. Altura Mining Ltd (ASX:AJM) are pleased to provide a Company presentation for the 8th Lithium Supply & Markets Conference in Las Vegas - titled, "Pathway to Production." Altura Mining Limited (ASX:AJM) is pleased to advise that leading Australian financial services provider Hartleys has released a research report on the Company titled "Altura Mining Limited - An advanced Pilgangoora lithium project." Altura Mining Limited (ASX:AJM) is pleased to advise that boutique financial services firm Beer & Co has released an updated research report on Altura Mining Limited titled "Valuation up after Feasibility Study." Altura Mining Limited (ASX:AJM) is pleased to advise that BCP Equities, a leading Brisbane based financial services and corporate advisory firm, has released a research report on the Company titled "Altura Mining Limited - The right asset at the right time." Altura Mining Limited (ASX:AJM) is pleased to announce the signing of an Access and Compensation Deed with the pastoral lease holders for Altura&apos;s 100% owned Pilgangoora Lithium Project located in the Pilbara region of Western Australia. Altura Mining Limited (ASX:AJM) are pleased to provide the Company&apos;s Quarterly Activities Report for March 2016. 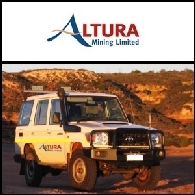 Altura Mining Limited (ASX:AJM) (OTCMKTS:ALTAF) is pleased to announce the execution of transfer documents for the E45/2363 tenement at its 100% Altura owned Pilgangoora Lithium Project in Western Australia&apos;s Pilbara region. Altura Mining Limited (ASX:AJM) is pleased to announce the results of the Project Feasibility Study completed on the 100% Altura owned Pilgangoora Lithium Project in Western Australia&apos;s Pilbara region. Altura Mining Limited (ASX:AJM) is pleased to advise that boutique financial services firm Beer & Co has released an updated research report on Altura Mining Limited, titled "Valuation up due to bigger plant, lower costs and higher prices". 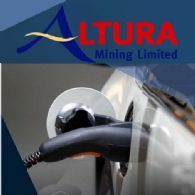 Altura Mining Limited (ASX:AJM), an ASX listed entity, is mainly focused on the development of its 100% owned Pilgangoora Lithium Project in the Pilbara region of Western Australia. Altura Mining Limited (ASX:AJM) is pleased to advise that further to the ASX announcement on 22 February 2016, settlement of the share placement with Lionergy Limited has now taken place. Altura Mining Limited (ASX:AJM) is pleased to announce that it has entered into a non-binding Memorandum of Understanding (MOU) with a leading China based lithium battery and electronic vehicle producing group, Optimum Nano Battery Co. Limited (Optimum Nano). Altura Mining Limited (ASX:AJM) is pleased to provide the following information in relation to its announcement "Pilgangoora Lithium Update: Independent Mining Study Demonstrates Robust Financial Returns and 19 Year Mine Life" released on 11 February 2016. Altura Mining Limited (ASX:AJM) is pleased to announce the results of the Mining Preliminary Feasibility Study completed by Western Australian based mining consultants Orelogy Consulting Pty Ltd.
Altura Mining Limited (ASX:AJM) is pleased to advise that boutique financial services firm Beer & Co has released a research report on Altura Mining Limited, titled "Product in demand; good margins". 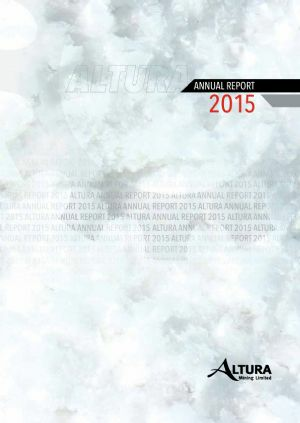 Altura Mining Limited (ASX:AJM) announce the Quarterly Activities Report for the period ending December 31, 2015. 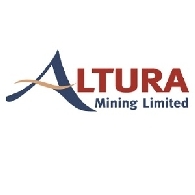 Altura Mining Limited (ASX:AJM) are pleased to provide the Managing Director&apos;s Presentation at the Annual General Meeting (AGM) November 2015. 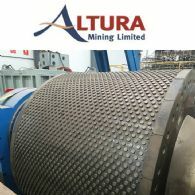 Altura Mining Limited (ASX:AJM) is pleased to announce that recent testwork conducted by Midas METS Engineering on composite diamond drillhole samples from Altura&apos;s 100% owned Pilgangoora Lithium project has produced remarkable results with lithium oxide (Li20) grades up to 7.79% with a spodumene content of up to 97%. 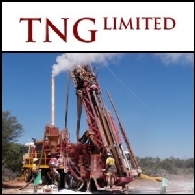 The 2014/15 year saw Altura Mining Limited (ASX:AJM) invest in its world class Pilgangoora lithium project as demand for lithium internationally continues to grow, including conducting a very successful capital raising to allow feasibility work to continue on the project. 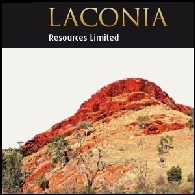 Altura Mining Limited (ASX:AJM) is pleased to announce that the Pilgangoora Lithium Resource has been independently reviewed and issued in compliance with the JORC Code 2012 Edition. 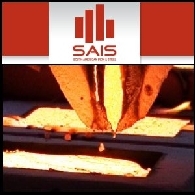 The revised Mineral Resource estimate of 26.06 million tonnes @ 1.20% Li20 replaces the previous estimate of 25.2 million tonnes @ 1.23% Li20. 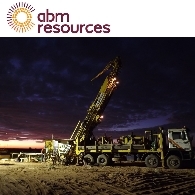 ABM Resources NL (ASX:ABU) is pleased to announce that it has entered into a tenement purchase and joint venture agreement with Altura Mining Limited (ASX:AJM) ("Altura") with the option to acquire 90% of nearly 2,000 square kilometres of exploration licences in the Tanami region of the Northern Territory. 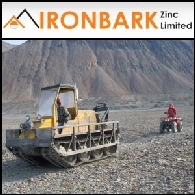 Asian Activities Report for November 21, 2011 includes: Ark Mines Ltd (ASX:AHK) has completed extensive geological, financial and legal due diligence on the Marsuparia Contract of Work tenement in Indonesia; Red Mountain Mining Limited (ASX:RMX) is to commence structural surface and underground geology studies at Xinqu mineralised area within the Zhongqu project to assist interpretation of the gold mineralisation; Altura Mining Limited (ASX:AJM) announces a 26% increase in the resource estimate at its Pilgangoora lithium project located in the Pilbara region of Western Australia; Frontier Solar Limited (SIM:FSO), a Brisbane-based solar mounting technology company, announced a A$6 million Initial Public Offering last week. 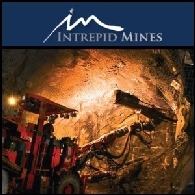 Asian Activities Report for May 9, 2011 includes: Intrepid Mines Limited (ASX:IAU) (TSE:IAU) has increased the Inferred Resource estimate of the porphyry copper-gold zone at the Tujuh Bukit Project in Indonesia; Altura Mining Limited (ASX:AJM) has expanded the initial exploration targets at Pilgangoora Lithium Project; Minotaur Exploration Limited (ASX:MEP) has commenced drilling at the NS13West iron oxide copper-gold target in Canada; Avalon Minerals Limited (ASX:AVI) has completed Phase 1 drilling program at its 100%-owned Viscaria Copper-Iron Project in Northern Sweden. Australian Market Report of December 13, 2010 includes: Altura Mining Limited (ASX:AJM) has received approval for the upcoming drill program at Pilgangoora Lithium Project in WA; Orion Metals Limited (ASX:ORM) has received highly encouraging gold results at Killi Killi Hills Gold-Rare Earth Element Project; Pharmaxis Limited (ASX:PXS) announces that Bronchitol is recommended for approval By Australian Advisory Committee; Tabcorp Holdings Limited (ASX:TAH) proposed A$625 million expansion of its casinos in Queensland.